In discussing “Braxton’s misleadingly forbidding aesthetic[,]” The Penguin Guide to Jazz Recordings (Ninth ed.) comments that “Braxton’s music requires — and deserves — demystification . . . .” Though it might be quite counter to Braxton’s artistic intents to demystify anything, consider this list a humble attempt to offer an entryway into his catalog of recorded works, which is nothing if not staggeringly large. He has released dozens of albums as a leader, many on what can fairly be called “micro labels”. Most problematic for a listener interested in Braxton is that his recordings are frequently out-of-print, or available only in a form that’s rather expensive. To complicate matters, many of his albums that have consistently remained in print are not necessarily his best. 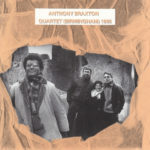 Fortunately, his breakthrough recordings for major label Arista Records have been reissued — something long overdue — on the collection The Complete Arista Recordings of Anthony Braxton, which is expensive but handsomely packaged. Recordings for Hat Hut Records tend to go in and out of print, as the label releases albums only in limited editions but tends to offer reissues eventually. Albums on Leo Records are likely in print, but may not be available just anywhere. The availability of recordings on other labels varies considerably. 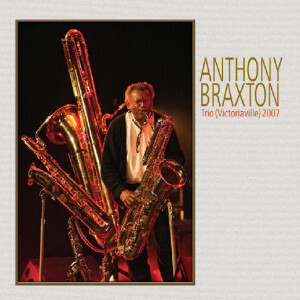 Braxton’s own New Braxton House label has recently begun offering digital downloads of various recordings. Rather than focus only on recordings currently in print, we have focus on what are the best, most significant (to Braxton’s career) and most accessible recordings, simply noting as best we can what is in print. 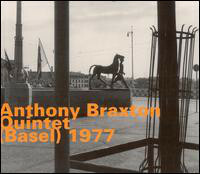 Braxton’s discography can seem, at first glance, rather monolithic; the more things change, the more they stay the same. In other words, his later recordings will almost invariably find precedent in his earlier recordings, even in his very earliest as a leader. Yet there have been developments, mostly in the form of breakthroughs that brought certain elements into greater focus, or that introduced new and different variations on existing approaches. The problem with Braxton’s reputation, too, is that he’s been saddled with descriptions like challenging, daunting, intimidating — you name it. Yet his astute biographer (of sorts) Graham Lock noted on meeting Braxton for the first time, “This is not the super-cold, super-brain of media report; this is a music lover.” As John Litweiler wrote, “His most engaging quality is his nervous vitality . . . [which] results from a romantic attitude that keeps finding new worlds to explore as well as familiar forms to revisit and refreshen.” Braxton’s music may not be for everyone. But there is plenty of excitement, joy, playfulness and more in his music. And, in spite of much puzzlement, bewilderment and outright hostility on the part of some critics, his music largely avoids bitterness or condescension. Yet it helps to be prepared for music that is simply different from what you’ve heard before, because Braxton is often trying to do something “new”. Anyway, consider this litmus test: if you’ve ever had a real conversation with someone about music, then you’re a potential Braxton fan. If not, and you don’t see that happening, then it may be best to move on to other interests and bypass Braxton entirely. To draw another analogy, if you don’t like books that are about the writing, but simply want a narrative where “stuff happens,” then Braxton might not be for you. There is nothing wrong with that, just find what you like, which will probably be elsewhere. From the beginning of his career, Braxton took particular influence from “cool” saxophonists Warne Marsh and Paul Desmond. But that is not to mention mystical (and even outer space) influences from Sun Ra, a little fire from John Coltrane, the compositional insights of Arnold Schönberg, and the rhythm and wit of Fats Waller. Or Braxton’s faculty on a whole armada of instruments, including obscure reeds from the lowest registers (contrabass clarinet and contrabass saxophone) to the highest (sopranino saxophone). Much of his music though deals with juxtaposition and combinatorial experiments. Braxton likes to dig into musical history (whether of humankind or simply of his own songbook) and examine bits and pieces, draw different ones together, and offer up the results for what they portend for the future. In many ways, it’s the use of the past in forward-looking ways that Braxton developed from his association with the Association for the Advancement of Creative Musicians (AACM) that separates his oeuvre from vaguely similar efforts by the likes of, say, James Carter — someone far more visceral and sentimentally emotive than the calm, cerebral and thoughtful Braxton — or even Sun Ra — someone whose works also turned on a dime from abstraction to the traditional but was far more indebted to the swing era than the younger Braxton, who grew up after that era had passed. But Braxton’s compositional efforts are also focused on new methods of organizing musical information, and perhaps less so on what that information might be. In that respect, the most similar musical traveler out there is Karlheinz Stockhausen. For Braxton, there are three types of musicians, none of which are meant to be a value judgment: restructuralists (who come up with new ways of thinking), stylists (who expand upon the restructuralists’ new ways of thinking), and traditionalists (who operate within a defined space). Braxton considers himself a restructuralist, though he makes efforts to record music “in the tradition” every few years. A legend is provided below explaining some of the information we have listed for each entry on this list. Each entry includes some release information, with recording date(s), and a “key track” — meant to give you a taste or focal point for each album (especially useful for those who want to buy downloads). Selections are organized chronologically by recording date. We have made an attempt to divide Braxton’s career into different periods, but those are somewhat arbitrary on our part. There is good material from all periods. We have also provided a listing for a few additional resources that you might want to investigate if you have an interest, like Graham Lock’s excellent Forces in Motion book. As a final note, though Braxton’s compositions are identified by a composition number, most have a title that is graphical in nature (the image heading this list is our own version of a Braxton title). Braxton has explained, “I say the listener should look at the titles and enjoy them or not enjoy them, but I don’t think you need to understand them in order to listen to the music.” At least for the time being, we have not reproduced Braxton’s graphical titles. Braxton volunteered for the U.S. Army and played in military bands. He returned to his native Chicago, and was an early member of the Association for the Advancement of Creative Musicians (AACM). He relocated to Paris, but then returned to the United States and lived in New York in Ornette Coleman‘s basement, making money as a chess hustler (and occasional pool hustler). He then took up music again and returned to Paris. A free jazz masterpiece. But here’s the thing, no one in the music ever set out to make “free jazz” — it’s a common misconception about so-called “free” jazz that the performers of said music simply throw out the rules of jazz and make a lot of noise. What’s free about the music of Ornette Coleman and Cecil Taylor and those who have followed them is that each performer has created their own set of rules to work with, not that they’ve completely thrown out all sense of structure and form. Which of course means that the listener has to work harder — to listen closer than normal and figure things out, then to readjust again to different performers with their own approaches, or listen hard again even when a performer (like Braxton) chooses to change his/her own methods. And this release – Braxton’s third under his own name – is his calling card, cataloging several approaches and strategies he uses in the creation of his music just as Ornette Coleman’s pre-Atlantic albums merely lay the groundwork for his real arrival with The Shape of Jazz to Come. 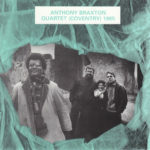 So if Braxton’s earlier records announce him as a member of the AACM, working within the broader ideas essayed by the organization, this one’s pure Anthony Braxton — there’s no more naked way in music than solo performance to open yourself up — and what Braxton has laid down showcases a performer of staggering diversity. It’s not always easy — the tributes to John Cage and Leroy Jenkins in particular can be trying for many ears not attuned to this sort of things — but there are pieces, especially his tribute to Ann and Peter Allen, which are remarkably delicate, introspective, even lovely. 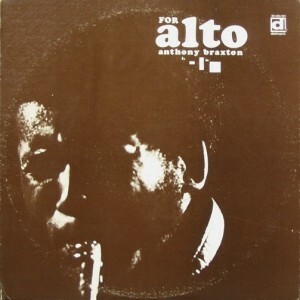 There are other solo albums in his extensive catalog that are perhaps easier to digest — a double album of solo alto saxophone is a bit of an undertaking, even for those predisposed to enjoying it, and one might seek out an album of equal quality like Alto Saxophone Improvisations 1979 — but as an introduction to Braxton and his ideas, this is a perfect summary. Braxton moved to Paris at the end of the 1960s, along with many other jazz players. 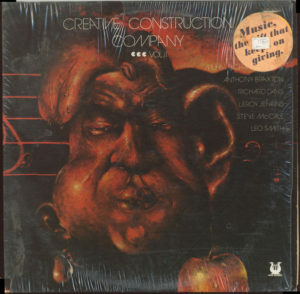 While some artists found success there, like Art Ensemble of Chicago, Braxton’s group Creative Construction Company did not. So he returned to the United States and lived in New York. He gave up music for a time. But then a reunion show with Creative Construction Company, featuring guests Muhal Richard Abrams, Richard Davis and Steve McCall, brought him out of his temporary retirement. 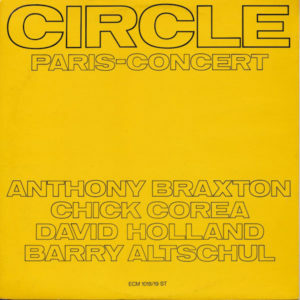 That reunion show (part of which is featured on this album) brought Braxton into contact with Chick Corea, who offered an invitation to his new group Circle. On the heels of Chick Corea‘s 1971 A.R.C. 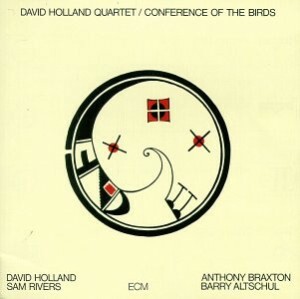 album and trio with Dave Holland and Barry Altschul (and no matter how this is billed feels at this reserve like an instrumental piece of development in Corea’s work, moreso than the development of the other participants) Braxton was invited to join the group formally before it was named after sitting in with the trio. 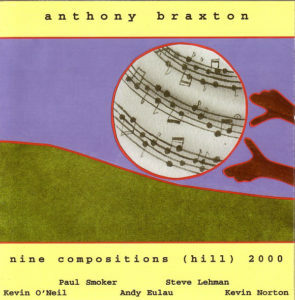 Braxton’s catalog to this point had consisted mostly of works in a very abstract realm, often owing to the tactics of the AACM, and this is one of the earliest pieces of him working in a more identifiably “jazzy” realm, tackling a group of originals (including one of Braxton’s own), a standard (“No Greater Love”), and an interesting recent composition by Wayne Shorter (“Nefertitti” (sic)) that was also part of A.R.C.’s repertoire. And as with the trio, however collaborative the process of the music-making may have been, Corea is the leader here – he makes all the announcements on mike, wrote the liner notes and (though I haven’t measured it strictly) seems to be allotted the most solo space. 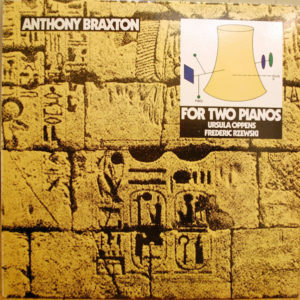 But Braxton crashes the party, barnstorms the proceedings on “Nefertiti,” deconstructing the work with the fervor he’d bring to his later approaches to standards, while his own “73º Kelvin (Variation – 3)” is for me the most interesting original here, showcasing for the first time on a widely available record the lengthy lines learned from one of his great influences — Lennie Tristano — that later would become one of his signature approaches to composing melodies. 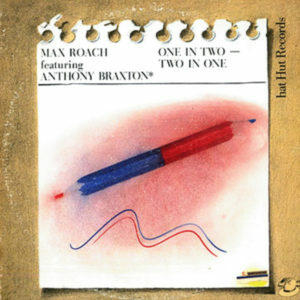 For three long pieces plus a series of solos and duets, the group works over their material in a fine example of the sort of rooted jazz with free leanings that Eric Dolphy liked to call “inside and outside at the same time.” As for Braxton? Here’s some of the earliest evidence that when he wanted to he could play it straighter, that his range could extend over not just the abstract sounds of an outsider, but could and did incorporate “the tradition” in the makeup of the music. Recorded: February 18, 1972, Paris, France. Circle broke up, leaving Braxton stranded (a somewhat common circumstance for touring musicians) in Los Angeles. He eventually made his way back to Paris. One notable development of this new period was that he started to record standards. Because his compositions can seem strange to some, standards provide something of a simplification. There are points of reference to latch on to. While the rhythm section here is certainly competent, like some early Cecil Taylor albums one gets the feeling the rhythm section isn’t quite ready to go to all the same places as Braxton. So this isn’t quite the pinnacle of what he could do. Nonetheless, this is still a fine album, with the standards showing an affinity — and faculty — for be-bop, with a little more modern spin on it of course. The new compositions are certainly more challenging, providing an abrupt but still comfortable contrast. 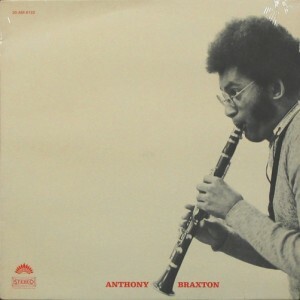 Most significantly this transitional album marks a growing maturity in Braxton’s recordings, as well as in his own performance style. Things would only get better from here. But this album demonstrated that as much as he tried to do things never heard before, he still had a keen interest in the jazz tradition and what it offers for the present and future. It also is concrete (and early) proof his recordings can be downright approachable at times. It is fairly common for jazz musicians to serve an apprenticeship as a sideman. Examples are everywhere, like Miles Davis with Charlie Parker, John Coltrane with Miles Davis. Anthony Braxton never really did that, at least not as a precursor to a solo career. Although his stint with Circle came closest, he only infrequently played a supporting role to another bandleader — much like major influence Ornette Coleman. Conference of the Birds is one of his relatively few appearances as a sideman. The group is mostly Circle alumni, plus Sam Rivers. 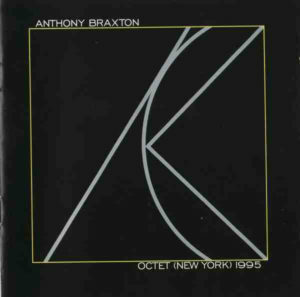 This album isn’t a showcase for Braxton by any means, but it’s still a great one. Skeptics might well start here before moving into Braxton’s own catalog. Braxton was offered (and accepted) a contract with the new major label Arista Records, as its first jazz artist signing. His visibility rose considerably worldwide, and many listeners only know his recordings from this period. Musically, he began to expand and refine ideas from his early period. He met his wife Nickie just before leaving Paris to permanently return to the United States. 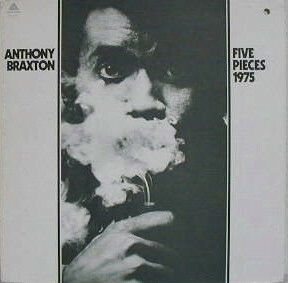 A real stunner of an album and one of Braxton’s all-time best small group records. In it, he and his group (Dave Holland and Barry Altschul from several recent works with Braxton, plus Kenny Wheeler on trumpet to round out the proceedings) navigate a lot of territory with aplomb, working in several modes with equal confidence. The record opens on a duet, Holland and Braxton doing a take on “You Stepped Out of a Dream” and it’s a lovely intro to the record, almost a way of saying to the doubters that what is to follow comes from the same folks who made this piece. 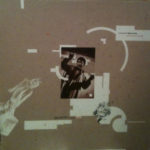 On the heels of this is the spare, moody “Comp. 23 H” which deals a lot in coloration more than heavy soloing, but provides an excellent showcase for drummer Altschul nonetheless. Closing the A-side is “Comp. 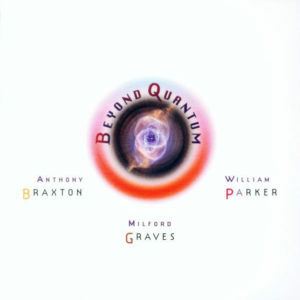 23 G,” perhaps the finest thing on the album as it perfectly straddles the line between the experimentation and eccentricity of Braxton’s approaches and a more listenable and straightforward approach to same — it’s essentially a head-and-solos piece, though there’s such a long “head” line at the beginning, the soloists move away from the chords, and the rhythm is so fragmented that it doesn’t feel like the standard blowing piece. Still, after the lengthy unison line that starts it, Braxton takes a solo, building in intensity until the climax of his spot and then giving way to Wheeler’s superb work, which in turn allows the rhythm section to shine afterward (though “rhythm section” is a belittling phrase in music such as this where all four players are contributing fully and equally). The B-side opens with the lengthy, dramatic “Comp. 23 E,” a showcase for Braxton in all his glory. It moves through several sequences and he changes horns accordingly — alto sax, flute (twice), and the oddball sound of the contrabass clarinet — to fit the mood of the rest of what’s happening. Again, a slow dramatic build takes place, complete with peaks and valleys, ranging from intense to eerie, over the 17+ minutes of the piece. It’s something of a grand statement, and if there are other catchier pieces on the record there’s nothing this ambitious — in fact there’s little like it in his catalog. The record closes on “Comp. 40 M,” a relatively brief blowout over a bass vamp — another rare thing in the Braxton catalog — that’s sort of like a compact version of “Comp. 23 G,” but provides something like a crooked dance number as it goes toward the fadeout. Alongside Holland’s Conference of the Birds, this is one of the best entry points to Braxton’s music-world for the adventurous listener — accessible enough for most, yet an undiluted version of what he does. Key Track(s): Since there are only two side long tracks, either one will suffice. You’ll know within two minutes of either if this is for you. Quick — what’s the definition of “jazz”? If your answer is “swung triplets” or any derivative of the word “swing” you can just move on to the next piece. But if that’s your criteria, you’re probably not reading this list anyway. If your answer was “conversation” or some similar idea then you ought to treat yourself to this album, tagged as difficult only because there’s not much like it out there in Braxton’s — or anyone’s — catalog that can give you something similar by which to assess it. Or is there? Throughout two long pieces, Braxton, with his usual array of reeds, duets with a remarkably sensitive Teitelbaum, whose moog synths respond to, query, provoke, and challenge Braxton constantly. There’s a remarkable give and take between the performers, and every time one of them moves into another area of sound — rhythmic, harmonic, melodic, or simply sonic — the other immediately rises to the challenge, meets him there, and moves the dialogue forward yet again. It’s beautiful, bracing, challenging, witty, and even entertaining in the right proportions. Braxton’s music hits all kinds of areas along the spectrum from more composed, fully-formed pieces over to largely improvised works, with this definitely leaning toward the latter, and a great example of such things. So is it so unique? Yes and no — if you have some familiarity with other freely improvised duets — like those of Cecil Taylor in his incredible run of Berlin concerts, or for that matter Taylor and Max Roach, Braxton and Max Roach, or Braxton and Derek Bailey — this may not be so alien. It’s new to hear it done with a moog, yes, but not something completely unknown to you in approach. But aside from Braxton’s duets with Bailey, which I feel are less successful, I can’t off the top of my head think of anything in this style of duetting that predates it. 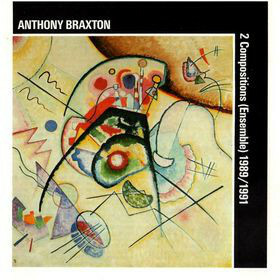 It’s great to hear Braxton, rooted in the African-American jazz tradition but with an ear toward European avant-garde classicism working alongside Teitelbaum, whose background in serial composition had only a few years before this turned his ear toward the forward-thinking jazz of Coltrane, Coleman, and Taylor. Kindred spirits, for sure. 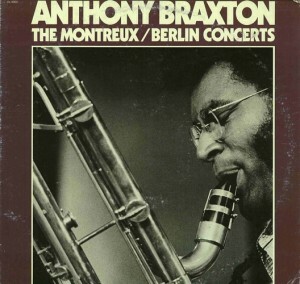 The Montreux/Berlin Concerts is one of many highlights from Braxton’s tenure on the Arista Records label. It features performances from two different European festivals in 1975 and 1976. The recordings mostly are from two similar quartets with Dave Holland (b), Barry Altschul (d), and either Kenny Wheeler (t) or George Lewis (tb), plus one side-long recording with The Berlin New Music Group. In many ways this is a culmination of many things Braxton was doing through the 1970s. Much like a comedian who will test out new material in various venues first and then repeat the best and most successful bits and routines for a big show or video/recording, Braxton is not so much trying out new methods here (with the exception of the orchestral track with The Berlin New Music Group) as much as delivering something with techniques he (and his bands) had already perfected. What makes the album so special is that there are some very fine performances here. Arguably, Braxton never led a small combo better than the ones here. And these are stellar performances even from this impressive cast of characters. In Braxton’s world, he deals with “musical informations”. There is certainly a lot of information being exchanged on these sets. Each performer is contributing–solo, spotlight time is shared fairly equally. 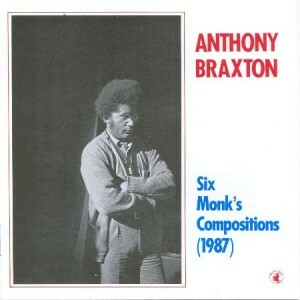 When Braxton was the first jazz signing to the new major label Arista, he promised to be some kind of crossover success (see the liner notes to The Complete Arista Recordings of Anthony Braxton and a November 2008 essay in The Wire magazine discussing its release). 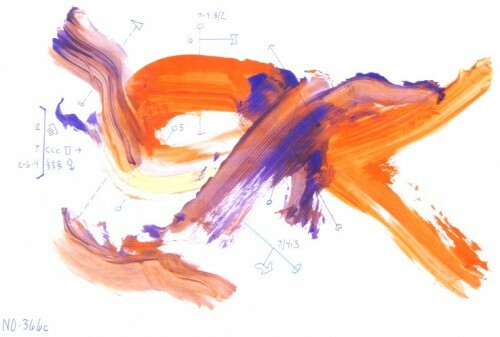 Leading up to his tenure with Arista, he had recorded works that extended into the territory of modern composition (of the likes of John Cage and the Fluxus movement), but he also worked with more traditional jazz material. 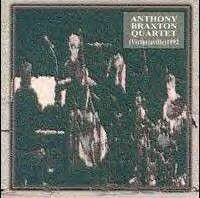 He drifted back and forth between the twin poles of traditional jazz and avant-garde composition. But most of the time these were shifts between isolated modes, not truly a “crossover” in the sense of a meeting and melding. On The Montreux/Berlin Concerts he does cross the divide between traditional jazz and modern composition, achieving a synthesis of both within any given piece. There is definitely a sense of connection to traditional jazz throughout. Often a bouncing, free-wheeling, syncopated beat as if from an old Fats Waller tune will be unmistakable. Yet the speed and density of it all will not permit confusion with anything from Waller’s era. The intervals, squeaks and new performance techniques also push this well beyond just the tradition. Again, though, this is crossover music, and so this music is not completely of the “new music” realm of abstraction. It inserts, modifies, expands, deconstructs, and borrows from the tradition at will, but never feels constrained by it. It is the much talked-about but less frequently achieved notion of playing “inside” and “outside” at the same time. This is an album by an artist that has found his voice and is using it to the best of his abilities. It makes for an excellent listen. 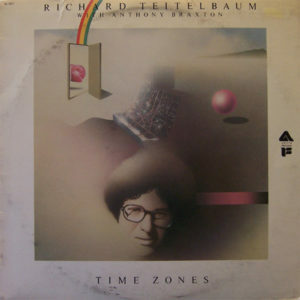 In effect, this supplants the need for the enjoyable Creative Orchestra Music 1976, by allowing the ensemble more space for improvisation and movement, with hatArt’s usual superb sound (even in this live setting) and extended versions of four of the studio album’s cuts (the two most abstract pieces are excised here, presumably because that sort of spacious music works better in your own home than a concert hall). Essentially, these are pieces that are relatively jazz-like (and in the case of “Comp. 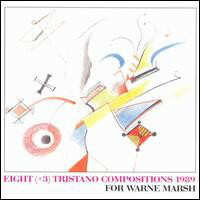 58,” march-like) filtered through the prism of Braxton’s compositional strategies and post-“free” playing techniques by the ensemble, linked together by completely unstructured “free” material (the “Language Improvisations” noted in the first track) making improvised segues between the pieces. Marilyn Crispell, who’d go on to make a great mark with Braxton in a few short years, sounds terrific throughout and Bob Ostertag’s sculpted synthetic soundscapes also add an element of unsettling weirdness that still feels perfectly right within the context of Braxton’s approach to “jazz.” And when the whole ensemble closes things with the march of “Comp. 58,” which starts out Sousa-like, then slowly goes off the rails, only to draw everything back together in its stellar climax, you know you’re in the hands of a master. 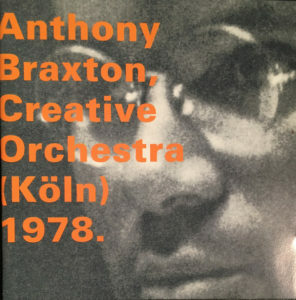 Braxton was strongly influenced by a number of composers, including Karlheinz Stockhausen, John Cage, Arnold Schönberg, Ruth Crawford Seeger and Hildegard von Bingen. For Two Pianos takes primary influence from Schönberg. It was especially written for the two performers featured here: Frederic Rzewski and Ursula Oppens, each playing piano as well as melodica and zither. It is a work of ritual and ceremonial construction. The score is 46 pages, and the musicians perform in costume (floor-length hooded cloaks). The mystical, cryptic messages encoded in the music can, superficially, seem ominous, with simple repeating figures, but on deeper inspection the interaction of the performers is hopeful. A popular analogue is perhaps Scott Walker‘s The Drift. Of note here is that this piece has nothing whatsoever to do with jazz, proof — if any were needed — that Braxton’s interests and talents go well beyond that genre. It may be true that not all of the man’s compositions are equally good or successful, and some smack of excess and self-indulgence, but this is one of his better-realized recordings of this type. Braxton has noted his many difficulties in getting his non-jazz compositions performed and recorded, something he attributes in large part to racism. With his major label contract concluded, Braxton entered a period of relative poverty, when he lost his house and couldn’t pay for heat. Then he formed a pair of renowned quartets. He also entered academia, first with a position at Mills College in Oakland, California, and later with a professorship at Wesleyan University in Middletown, Connecticut (were he remains as of this writing). During the 1980s he introduced many new ideas to his music, rather than merely expanding upon what he did in the 1970s. 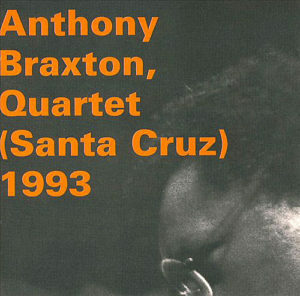 In the 1980s and into the early 1990s, Braxton led two quartets that have garnered special reputations among his admirers. The first (featured here) included Marilyn Crispell (p), Gerry Hemingway (d), and John Lindberg (b). After a falling out between Braxton and Lindberg, Mark Dresser took over on bass. 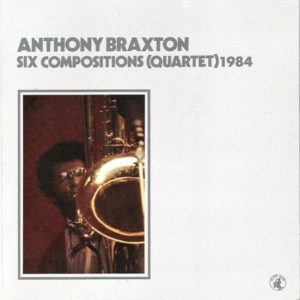 The trio of recordings with the latter incarnation of the great 80s quartet on a 1985 tour of England tend to receive more attention, but Six Compositions (Quartet) 1984 is a very good place to get your feet wet with Braxton’s 80s output. Vestiges of bop stylings are more pronounced than in many later works of that decade. Although “Composition No. 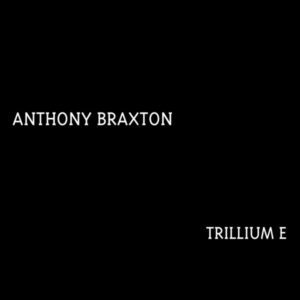 114 (+ 108A)” proves that Braxton’s methods can be totally ineffective at times, the rest of the album is good — and rather welcoming. The musicians have a great rapport. Pianist Marilyn Crispell deserves special attention here. 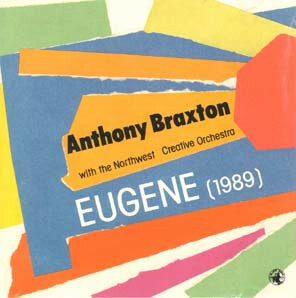 Braxton’s album with the Northwest Creative Orchestra marked a turning point in his orchestral jazz music. This was the beginning of a new phase that left behind many of the reference points to traditional big band jazz that appeared sporadically through many earlier works and recordings. Influences from some of Sun Ra‘s and Ornette Coleman‘s large-scale works became a little more clear. He also was transitioning to bands made up of students, as he would do with smaller groups as well. One fault of this recording is that Braxton on alto sax is usually buried in the mix, but the band plays well so that’s not a major problem. The album’s main strength is that despite featuring such unique and daring music, it maintains fluid and almost upbeat qualities that definitely stand out. Key Track(s): no specific track, as both discs consist of long suites of music. Braxton developed various new musical techniques and forms in his later years. Often these expanded and elaborated upon ideas first germinated in the 1980s. In 1994 he received a MacArthur Fellowship, referred to informally as the “Genius Grant.” For a considerable time during this period his music revolved around his Ghost Trance Music compositions. He performed and recorded extensively with his students and former students. In the 1990s he operated his own record label Braxton House, which went inactive but was revived along with a new online label New Braxton House in 2011. There has been no slowing down of either the quantity or intensity of his work compared to anything before. Braxton only got better and better in his later years. This lavish and massive box set may seem imposing, but it’s among the best recordings of his long career. He’s working with a large ensemble, his 12+1tet, and performing many of his last Ghost Trance Music compositions. Most of the band members are his students or former students. These musicians know the music and bring a wealth of personality to it. 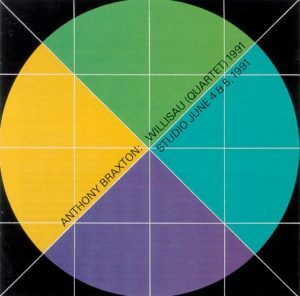 In many ways, this album is the culmination and fullest realization of things Braxton had been working on since his second great quartet was formed in the 1980s. In short, he has created a context to use and reuse his compositions in a way that places minimal limitations on the performers while maximizing the opportunities for constructive group improvisation. It is music like this that places Braxton squarely in the Ornette Coleman school that makes composition a mechanism to achieve what purely “free” playing usually doesn’t. The large ensemble provides a full palate to work with. One distinctive feature is the the use of “pulse tracks”, which provide notated passages broken up with brief open periods for free improvisation. The effect is usually to have a steady rhythm interrupted by slippery interludes — not unlike the opening “Hell” segment of like-minded film director Jean-Luc Godard‘s film Notre musique [Our Music] with its images frozen and advanced in stuttering, lurching movements. This might be as good as any place to start with Braxton, and it certainly belongs near the top of the list of his most essential recordings. 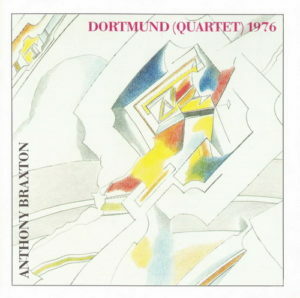 Recorded by Braxton’s Diamond Curtain Wall Trio, which uses the SuperCollider software program during performance, this is something of an alternate path from Ghost Trance Music. Rather than focusing on composition as the guiding and organizational force pushing the music along, the software program moderates the interactions of the performers to a significant degree. Performers are presented with Braxton’s graphical Falling River Music notation (here’s an example photo of a different piece), and the SuperCollider program plays audio patches that Braxton has developed. The resultant music is a little more dynamic — or at least ominous — than a lot of Ghost Trance Music. Braxton had along a lot of his largest saxophones, and they make commanding appearances. Braxton plays so well here you would hardly guess at his advancing years. This trio is also special in that Mary Halvorson (g) and Taylor Ho Bynum (t) are two of the most notable performers to play regularly with Braxton in his later years. We have each picked our top five favorite Braxton albums and five songs from albums not featured on the list above, as a sort of alternate ways to look at his catalog. Consider this a shortened way for us to recommend some good records and songs to a newcomer. For clarification, any single “songs” that make up an entire album are excluded from the five song selections lists below, and are only represented in the album picks. A fairly objective view of how challenging the music is in relation to other Braxton recordings. If you want a challenge, by all means start at the “difficult” level records and work your way out from there. If you want something more in line with traditional jazz or something more easily digested, you might steer toward the “easy” titles and gauge your responses from there. We both feel that there is a lot of good music in all three categories. 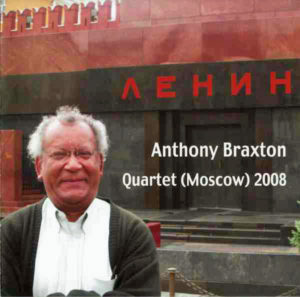 Support Anthony Braxton! – Braxton is still performing and recording. Go see him perform! Buy his records! The Tri-Centric Foundation – official site, including the home of the New Braxton House label, offering albums for download. Also offers a selection of free downloads of bootleg recordings, and subscriptions to a free e-mail newsletter. Braxton Musical Systems – brief introductions to the various musical systems (compositional/performance methods) Braxton has used. “Grand Master Flash,” Brian Morton, The Wire, Issue 252, February 2005, pp. 28-35.